Porcelain laminate veneers are highly adaptable and can be used to repair a wide range of issues with your teeth. These ultra-fine facings of porcelain are used to cover the front surfaces of the teeth and can disguise or repair underlying cosmetic problems, including gaps in the teeth, crooked, discoloured, or worn and chipped teeth. All ceramic crowns or caps are used to rebuild and reconstruct heavily filled or broken teeth. Unlike veneers, they encapsulate the whole tooth. The ceramics used are similar to veneers, so not only do they restore tooth function, but enhance tooth strength. As there are no underlying dark substructures, they give excellent aesthetic results. Ceramic crowns can be made completely indistinguishable from natural teeth. Porcelain bridges are a series of crowns joined together to replace missing teeth, using the finest precious metal and ceramic materials. Bridges are supported by the teeth either side of the missing teeth either partially or completely. 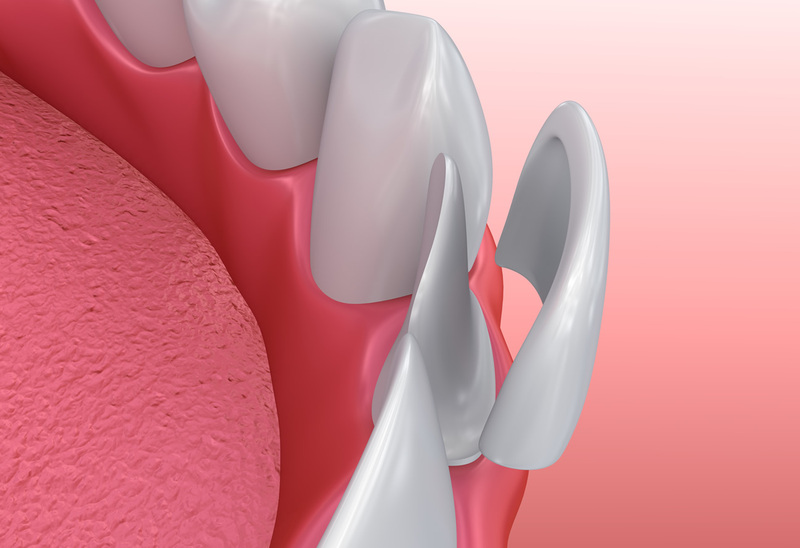 Bridgework offers an alternative to dentures or implants.